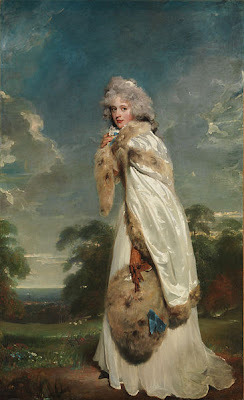 Elizabeth Farren, Countess of Derby, was one of the most famous actresses of her time. Born in Cork around 1759, she was the daughter of George Farren, a surgeon and apothecary turned into actor. He was also an alcoholic who squandered all his money on drinking and so, after his premature death, his bankrupted widow decided to go back to her family, who resided at Liverpool. Here, she became an actress to support her family. Her daughter Elizabeth soon followed her on the stage. Although she was very young, she was also very talented and she became a favourite with the public. After touring the provinces, in 1777 Elizabeth debuted in London, where she received a favourable, but not too enthusiastic, reception. But her talents were fully appreciated when, the next year, she played at the Drury Lane Theatre. When Mrs Abington left that theatre in 1782, Elizabeth took her place, playing the female leads. She played Juliet, Hermione, Lady Fanciful, Lady Teazle (a characters in Sheridan’s School of Scandal based upon the Duchess of Devonshire) and other aristocratic ladies. A slender girl with blue eyes and a lovely smile, Elizabeth also had refined manners. These traits, and her talent, gained her many admirers, among whom were Charles James Fox and Edward Smith-Stanley, 12th Earl Of Derby. Thanks to Lord Derby, the actress obtained the patronage of the Duke of Richmond and presided over a series of private performances at his house in Whitehall. Lord Derby also introduced Elizabeth to many of his female friends. The Earl, who was separated from his wife, fell in love with Elizabeth. And when the Countess died in 1797, the Earl wasted no time in making a honest woman out of Elizabeth. Two months later, they were married. A few days before the ceremony, on 8th April, Elizabeth appeared on the stage for the last time. Her final performance of Lady Teazle attracted a large audience and, at the end of it, she spoke a few words of farewell before bursting into tears. 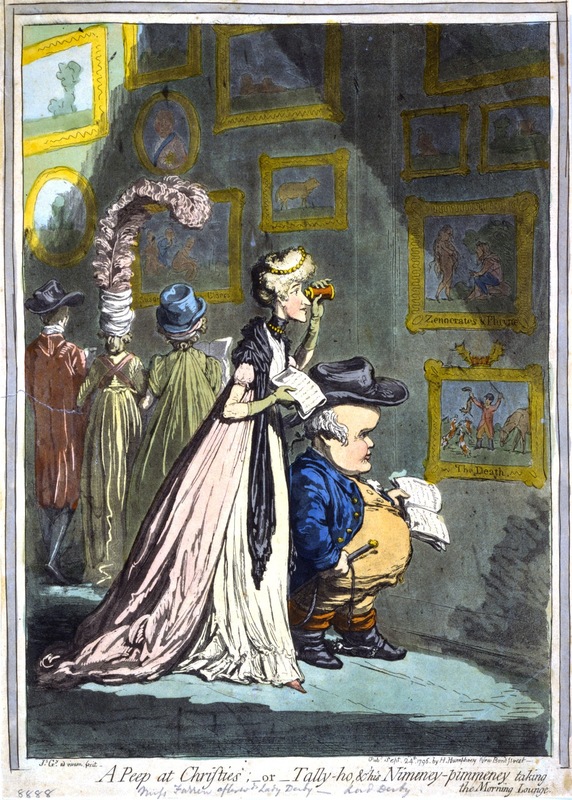 As a couple, the Earl and his new Countess also attracted gossip and ridicule, with Elizabeth often being portrayed as a gold-digger in satirical prints. Edward and Elizabeth had three children together. Elizabeth died on 23rd April 1829 at Knowsley Park in Lancashire.